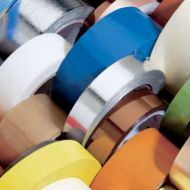 Saint-Gobain Performance Plastics CHR Tape Solutions offers solutions for bonding, protection and insulation to the automotive, aerospace, energy, construction, electronics, medical, and general industry sectors. Through the support of our four global research and development centers and our advanced polymer technology expertise, we create innovative solutions that enhance performance in the most extreme environments. Backed by a proud heritage of product innovation, technological expertise and market leadership, we are dedicated to working with our customers to solve today’s most extreme and demanding application issues and the challenges that lie ahead.